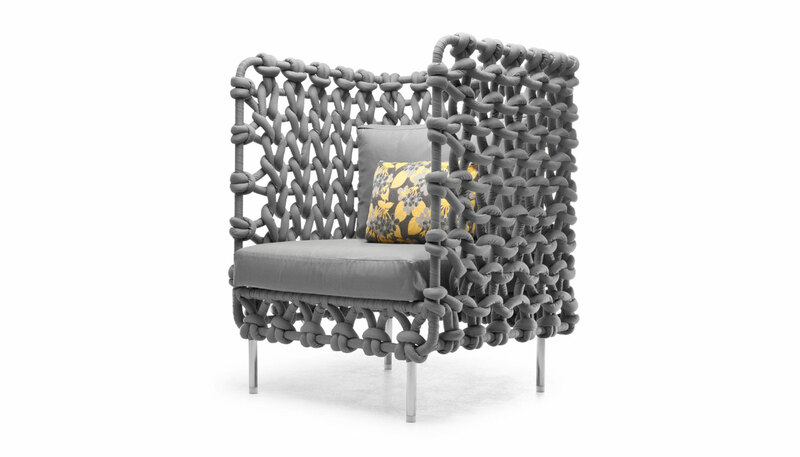 A modern take on Kenneth Cobonpue's craftsmanship techniques, the Cabaret Lounge Chair weaves extra-large fabric tubes around a steel frame, rendering a compelling texture and pattern. The indoor version is available in charcoal gray, plum, and sand. An outdoor version of the armchair is available as well. Price includes shipping to the USA. Manufactured by Kenneth Cobonpue.